I used to own an Etch-a-sketch when I was a kid, and I must say, I was never very good at it. I couldn’t even turn the two knobs at the same time to produce a semi-straight diagonal line. My ineptness at using an Etch-a-sketch is why I find pictures like these so interesting. 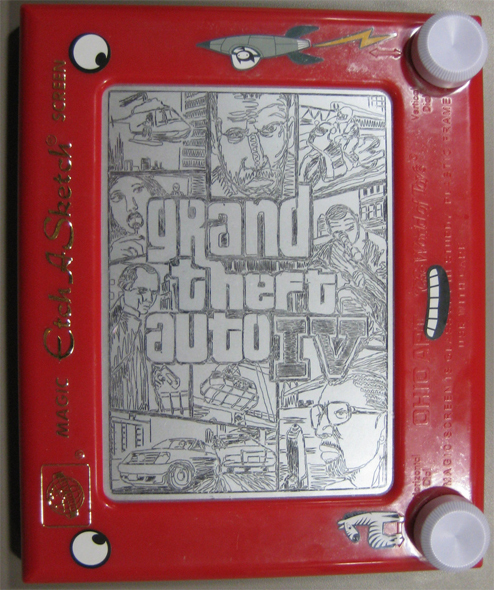 Etch-a-sketch Artist via Kotaku. Have you ever bought Anime / Otaku related items online?